Star Wars is a space opera, a global phenomenon, and a religion among diehard fans. For Gen X’ers like myself, it is an indelible part of our childhood and collective memory. I still remember making X-wing fighters out of my mom’s wooden clothes pegs and re-enacting lightsaber duels with my brother using random objects at home – as did every kid in the 1970s and 80s who had watched the films in the theater or on VHS. And so when the wait for a sequel trilogy is finally over, the question is not whether you should watch it – of course you should to stay relevant and not appear completely uncool – but what intelligent thing to say when asked about it at the office Christmas party. When it comes to the biggest movie event since perhaps Titanic, a generic response like “It’s not bad” just won’t cut it. First thing first, you should know that The Force Awakens (a.k.a. 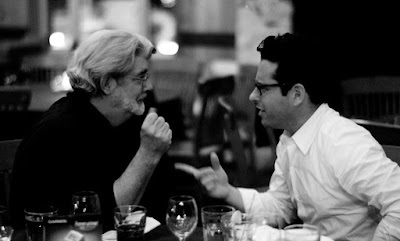 Episode VII) is not a George Lucas production. Disney purchased Lucasfilm three years ago for an eye-popping US$4 billion, and was said to be “not that keen” to involve the franchise’s creator in the new project. Still raw about the way Lucas alienated loyal fans and bored non-believers with his tedious and miscast prequels (Episodes I to III) a decade ago, studio executives rejected his stories for the new films and sidelined him from the set. Instead, Disney entrusted the world’s most lucrative franchise to J.J. Abrams, and gave him US$200 million to play with – compared to the paltry US$11 million (or US$43 million in 2014 dollars) that Lucas received to make A New Hope (Episode IV) in 1977. With a CV that boasts Mission Impossible III, Super 8 and the Star Trek series, Abrams is the Steven Spielberg of the 21st Century and the most bankable Hollywood director after Christopher Nolan. 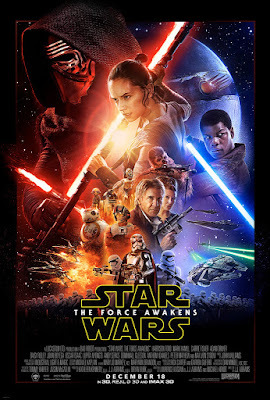 Episode VII is set some 30 years after Return of the Jedi (1983), when the Resistance led by an ageing Princess Leia (Carrie Fisher) is fighting a losing battle against the evil First Order – a cross between the Third Reich and modern day China that inculcates young minds from birth with state-sponsored propaganda. The rebellion is trying to track down Luke Skywalker (Mark Hamill), a Jedi-in-hiding whose reclusiveness has only added to his Messianic myth. Meanwhile, scavenger girl Rey, much like Luke in the original trilogy, chances upon a droid BB-8 that, much like R2-D2, escapes from a Stormtrooper raid with a secret message to be delivered to the good guys so that Starkiller Base, much like the Death Star, can be destroyed. There is so much cinematic déjà vu between A New Hope and The Force Awakens that the line between tribute and re-make, between familiarity and similarity, begins to blur. The balancing act between old and new is a tricky one – but when in doubt, choose the power of nostalgia over the temptation to chart a new path, because no one will fault the studio for doing the former. In fact, watching X-wings and TIE fighters shoot at each other, the Millennium Falcon slips into hyperspace in the nick of time, and drunken aliens revel in the smoke-filled cantina, is everything that fan boys ever want. If the old formula ain’t broke, don’t fix it. The same balance act is reflected in the casting choices. In keeping with Lucas’ tradition of using unknown actors, Abrams handpicks Daisy Ridley – who looks and sounds like Keira Knightly – to play Rey, John Boyega to play Finn the renegade Stormtrooper, and Adam Driver to play Han Solo’s evil son Kylo Ren. The new kids on the block must feel like lottery winners for landing the coveted parts, far too euphoric to worry about the “Star Wars curse” that famously killed the careers of Carrie Fisher, Mark Hamill, Jake Lloyd and Hayden Christensen (the last two played the young and adult Anakin Skywalker/Darth Vader in the prequel trilogy). 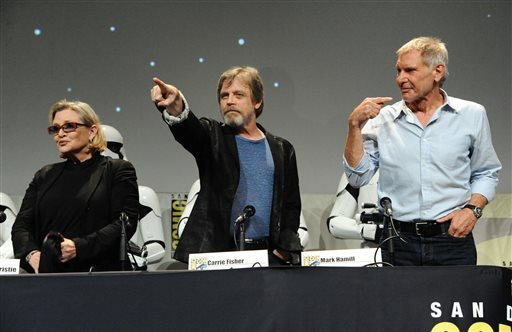 On the other hand, Abrams’ decision to bring back Fisher, Hamill and Harrison Ford – despite their advance age – and to give them actual, substantial roles instead of mere gratuitous cameos is both bold and welcome. To the devoted fan, seeing these old faces on the Star Wars set decades later is the equivalent of running into an old friend at a bar who proceeds to sit down to have a beer with you rather than only mouthing “Good to see you” from the other end of the room. So what’s the verdict? Well, the sets are visually stunning, the music is heart-pumping, the storytelling is coherent, the acting is satisfactory, and the 135 minutes are action-packed with hardly a lull for bathroom breaks. But unlike the original trilogy, there are no leap-off-your-seat or woo-hoo moments that will keep playing in your head long after the end credits have rolled. But perhaps we should stop comparing the sequel to the original. The last-millennium trilogy can and will never be surpassed – it is Hollywood’s law of physics. Trying to outdo it is like being asked to build a better Taj Mahal or write a sequel to the Bible – it is unfair and pointless. Abrams’ reboot does the franchise justice by meeting impossible expectations, and if he can keep it up with the next two instalments (scheduled to be released in 2017 and 2019), then he deserves every credit for rising to the occasion – for even the creator himself failed to pull that off a decade ago. So if your co-workers ask you to opine on the movie at the office Christmas party, tell them this: What a relief, and can't wait for Episode VIII! 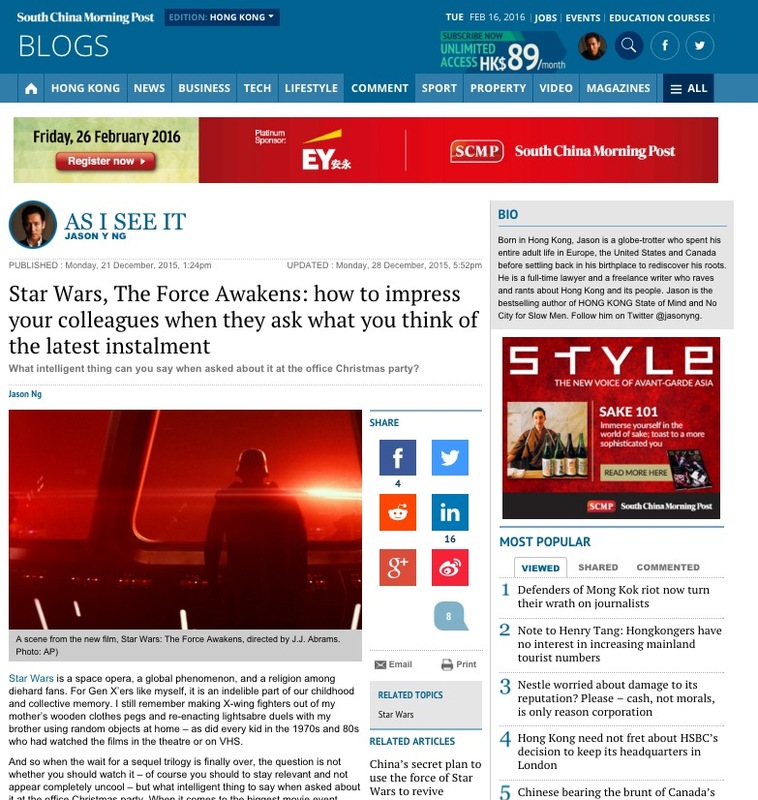 This article appears on SCMP.com under the title "Star Wars, The Force Awakens: how to impress your colleagues when they ask what you think of the latest instalment." I absolutely adore this movie. It's a throwback to the old movies. It makes up for all the issues everyone had with 1-3. There are some sad things that happen, but I feel they were necessary to push forward the plot. Don't get hung up on it- in life, death happens. It's a fact. I truly feel that this is a masterpiece. I enjoyed every moment of the movie. I was spellbound. It was a wave of nostalgia for this nerd girl!